If you’re a dog lover you’ll enjoy this! Sending a card, or a little note to someone who needs a word of encouragement can make all the difference to their day. 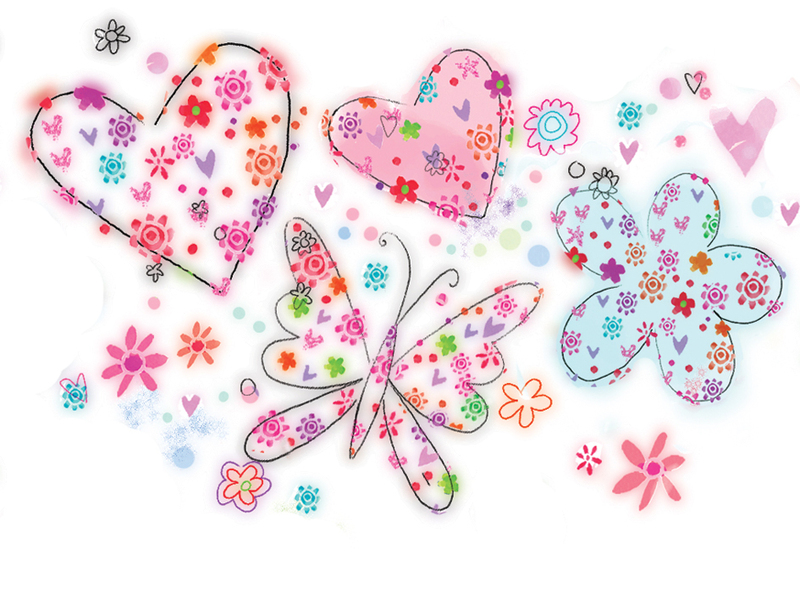 Did you put hearts on your ‘i’s? Chocolate Covered Cashew Truffle anyone? Apparently it’s Chocolate Covered Cashew Truffle Day – not sure if that’s all one item or not, hard to tell but hey it’s got chocolate in it so I’m happy. Being a Phoenix Trader I love chocolate, especially cake, and we have a lot of chocolate products, take a look for yourself. History Of Truffles – Chocolate Truffles. …now you’ve read it, which of these are truffles? Staying within the lines – or not? via Coloring Isn’t Just For Kids. It Can Actually Help Adults Combat Stress..
Of course – anyone who loves Phoenix Trading knows this already and if you’ve had one of our colouring in tablecloths you’ll know that you probably spent more time colouring in than your children did…at least that’s what happens in my house! I think we adults sometimes need an ‘excuse’ to colour in, it’s not something we see as an adult activity, there are always more ‘important’ things to do – but with one of our tablecloths, or maybe a frieze then we have the perfect excuse. And of course, any such creative activity we can do with our children has to be a positive thing for us and them surely. 1 – Colour in hats – we have two sets: the first contains a mermaid, a butterfly and a fairy, the second a chief, space cadet and king. Both illustrated by Amanda Loverseed. 2 – Colour in map of the British Isles – educational and destressful this comes in a presentation tube too so makes a great gift, and is also illustrated by Amanda Loverseed. 3 – Colour in friezes – I love the animal train, though we also have farm, princess carriage, under the sea and a nativity one at Christmas. I think these are particularly great as they come in six pieces and can be coloured individually and put together later to make a large frieze if you wish, but they look great on their own too. All beautifully illustrated by Claire Winteringham, Alison Hullyer or June Armstrong. I do get parents tell me they will get frustrated if their children colour outside the lines (maybe I just have too many ocd friends? )…my response – buy two, one for you, one for them! We know language changes—we don’t say thee and thou anymore—but have you ever wondered why? Often, it’s not clear, but there’s a particularly satisfying answer when it comes to these two pronouns. A couple of weeks ago, after I talked about how the pronoun you fills so many roles, I started wondering why we stopped using thee and thou. It turns out that English used to have formal and informal pronouns like many other languages. German has Sie and du, French has vous and tu, Spanish has usted and tú, and during Shakespeare’s time, English had thou and you and thee and you. Since thee and thou have survived mainly in religious and poetic writing, you may be surprised to learn that thee and thou were the informal pronouns. Yup. You was formal, and thou was informal. In a book called The Personal Pronouns in the Germanic Languages, Stephen Howe says that in the fifteenth to sixteenth centuries, thou was generally used to address someone who was socially inferior or an intimate. For example, parents called their children thou, and children called their parents you, but then the use of thou sharply decreased in the seventeenth century, starting in London. Thou was used the longest in areas that were farthest from London, and in fact, it’s still used in a few regional dialects including those in Yorkshire and Cumbria, which are both quite a bit north of London. 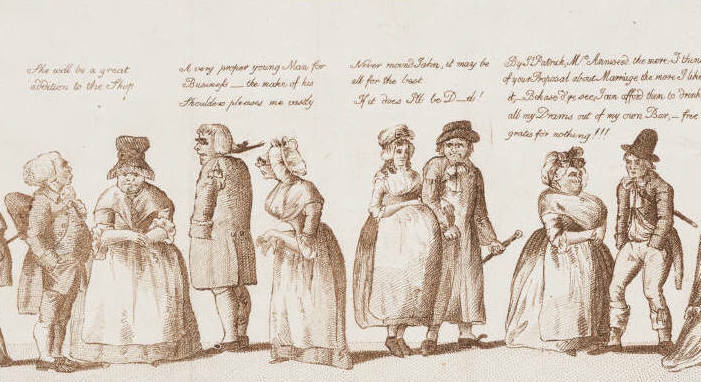 The reason people stopped using thou (and thee) was that social status—whether you were considered upper class or lower class—became more fluid during this time. You had social climbers striving to talk like the upper class, so they used you all the time instead of thou, and since you couldn’t be as sure as you used to be about who was in what class, it was safer to use you instead of thou because you didn’t want to risk accidentally offending someone in the upper class by using the wrong pronoun. You didn’t want to call someone thou when you should have used you! via Grammar Girl : Why Did People Stop Saying “Thou”? :: Quick and Dirty Tips ™. Work From Home is a Great Deal? Think I’ll be following this one – it’s a constant challenge, though a rewarding one, to commit to a business when my family is my main focus. 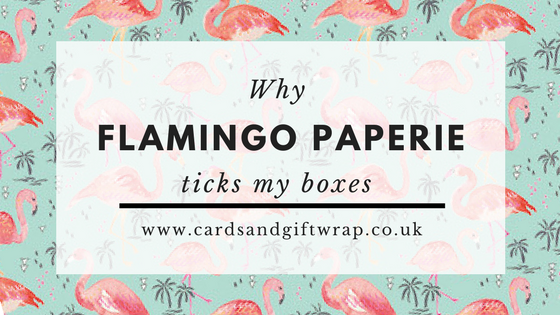 Why Flamingo Paperie and what’s cake got to do with it? People often ask me why Flamingo Paperie? The UK card industry is huge and growing. Despite what you might think, “that no one sends cards anymore because we all just Facebook each other”, the Greeting Card Association UK (GCA) reports that sales of greeting cards are actually increasing! In fact we spend more on cards than we spend on tea and coffee put together! I am passionate about giving something back. Having previously worked in areas like Darfur and Sierra Leone I cannot escape the reality that I am hugely blessed in life. I don’t believe in just giving handouts. On the whole these don’t better someone else’s circumstances. But giving people the tools they need to take control of their own lives and situations – that’s worthwhile. Flamingo Paperie as an organisation always looks to share their success, to give out, not keep it all to themselves. The people who run it have done this since they started as the company, Phoenix Trading in 1995. All our Christmas cards are charity cards. Some of my team donate all their profits to charity, and I love to help people raise some extra money for their cause, be it their Scout group or their local hospice. I’ve done the working for a big company and having to work overtime to make more money for shareholders with no personal gain. I’m through with that! Anyone with children will value flexibility in life as planning even a day can all go to pot with a sick child, a well timed nappy change, an unexpected nap (from the child not me…though often I wish!). Working from home and being in charge of my tasks and goals, with no one saying “I know it’s tough and we don’t want to push you over the edge but we do need you to work the overtime” (as a previous boss said to me after I had disclosed that I had depression and was struggling to make it through each day), is a key reason why Flamingo Paperie is best for me and my whole family. What is flitter? Why do I go on about it so much? Flitter is that wonderful stuff also known as fairy dust or magic sparkle that people sometimes mistake for the poor imitation that is glitter. 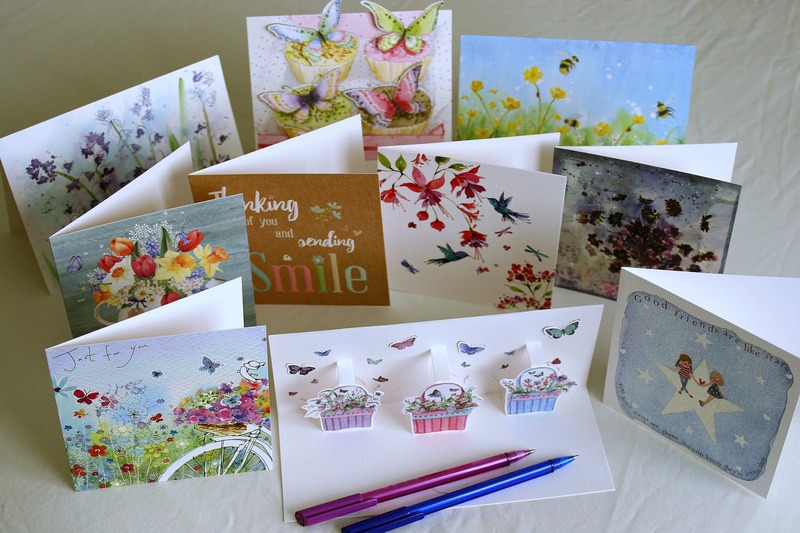 Many of Flamingo Paperie’s cards are flittery – and at no extra cost! If the cards aren’t flittered the illustrations are still stunning. When I first became an independent Phoenix Trader I thought I might send them some of my designs but I’ve since been privileged to see some of the original artwork and, no – I won’t be sending mine in. The artists who illustrated for Phoenix Trading and now Flamingo Paperie are in a league of their own…if you are in that league you might want to look at the info for artists. Sorry can’t get away from it…I’ve tried to eat less of it but there’s no getting away from the fact I love cake. Flamingo Paperie Partners eat a lot of cake, drink a lot of tea – and when we can we love wine with our cards too. Being a Flamingo Paperie Partner is about people. Whether it be listening to what someone wants out of their business, seeing how I can support someone with fundraising or helping someone choose the right sympathy card. These conversations often happen over a cuppa and if possible a slice of cake. I’m not fussy what kind of cake, any will do! These are my reasons for today and probably in today’s order why Flamingo Paperie ticks my boxes. They might change because being an independent Flamingo Paperie Partner means I can be flexible like that. If you’d like to find out more do get in touch. I’ll be happy to send you some information with no commitment on your part. Except possibly the requirement to eat cake if you come to a team meeting. But as I say I’m flexible – you choose how big a slice you want! The Art of Handwriting – Is it Lost? Have we lost the art of handwriting? I hope not. With social media being a part of our lives that it never was when I was young I see changes in what we teach our children. Quite rightly they learn how to touch type on a qwerty keyboard from an early age. But they still have their handwriting book too. How important is handwriting in a technical age? Does it matter anymore? Despite the common perception that ‘no one sends cards anymore’ the opposite is true. According to a recent survey 95% of British households still send cards. So surely it’s important that what’s written in them is readable? Or is it? I did a little research on the lost art of handwriting. This article on The Art of Handwriting about letters by artists is worth a look just to see the handwriting. I’m not an artist so my handwriting leaves a lot to be desired but I just adore neat, artistic handrwriting. Here is a very inspiring TED talk on the lost art of handwriting – you might be inspired to pick up pen and paper after listening to these shared memories. Now, going back to my earlier complaint about poor handwriting, there might be an answer in this. A hi-tech pen that could improve my handwriting! …and if you’re still not sure you need to bother brushing up on your handwriting then this 8 year old has a very good reason why it’s important – how else will he fill in his contract to be a major league player?! So, is the art of handwriting important or not? Does it matter if my scrawl looks pretty or is it enough just to be readable? It’s a well known fact that sending handwritten cards and notes has a positive impact on someone’s mental health. So perhaps I shouldn’t get too hung up on how good or bad my handwriting looks but worry more about if I am writing enough. After all the only way to improve my handwriting is to practise, practise, practise. I no longer have a handwriting jotter like my children at school so perhaps my best practice is to send more cards and letters.